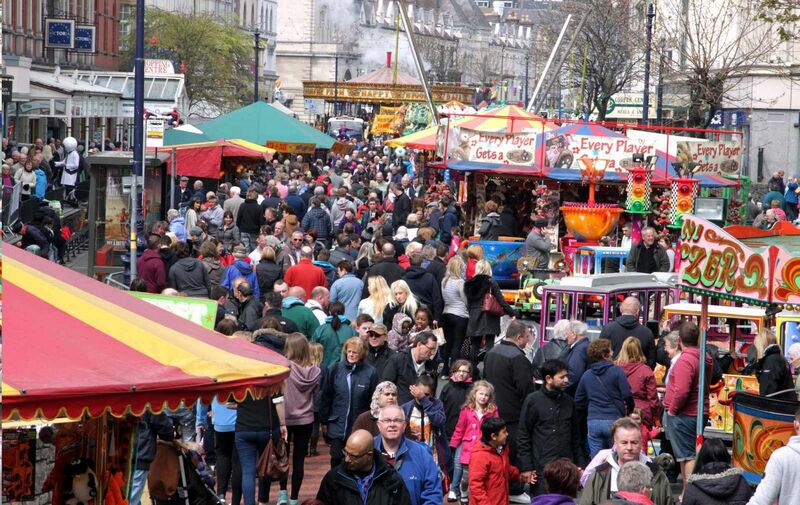 The Llandudno Extravaganza Victorian Festival is returning once again this May Bank Holiday. Come join in the fun and stay at The Evans Hotel. Llandudno is bustling with Victorian buildings and structures, and retaining their original look play an excellent part in this fantastic event. One of these great buildings is the Llandudno Pier, based at the foot of the Great Orme, be sure to go and visit this attraction. Together with a local Heritage Enthusiast Group, the idea of free admission show to attract visitors & trade to local business was born. To maximise the benefit to local commerce, the Event was to be staged on the town centre streets, a format conceived a year earlier at Fleetwood. To take full advantage of the opportunity, the May Day Bank Holiday was chosen as the date & a lavish display of Traditional Entertainment to compliment Llandudno’s outstanding Victorian splendour was to be the method, it included street theatre, maypole dancing in the street, carriage rides, teddy bears picnic in Happy Valley, Sandcastle competition, visit of ‘Queen Victoria’, parade of Victorians, window dressing competition and a Grand Victorian Ball. A hexagonal stage was put up in Mostyn Street outside the Leeds building society and this was the focal point of the parade, and the arrival of Queen Victoria played by actress Margaret Lacey. Many, many people dressed in Victorian costume, and strolled the street helping the photographers to get shots for the photographic competition. A vintage Car rally was held , the highlight of which was a procession around the Marine drive, with a prize for the best car and passengers. A vintage Motor Bike rally was also held in the town, judged by the Mayor, outside the committee headquarters at the Clarence Hotel. Responsibility for staging of the event passed to the Volunteer Committee who formed Llandudno Victorian Extravaganza Ltd. which has continued to organise the Show to present day. As Council backing diminished, the Committee sought other ways of raising the finance to stage the free admission show. This took the form of a sister event on Bodafon Fields for which a gate fee could be charged to support the free show in the Town. The scale of this overall event proved too much to organise by volunteers alone, & the field event was developed by local transport enthusiasts as the Llandudno Transport Festival. At this time The Extravaganza had sufficient attendance to attract the attention of modern funfair operators. Changes to the Committee left them with little choice to allow the Heritage focus to be diluted by the ingress of modern fairground attractions offering substantial payment to attend. This dilution peaked in 2006 when public opinion said that the whole event had become nothing more than a modern street fair, squeezing out the Traditional Entertainment that carried popular support.